South Pacific: We are very lucky to have so many islands of paradise almost on our door step. A cruise through the Pacific Islands is a tonic to the senses. No matter if your visiting old favourites like Fiji or Vanuatu, or travelling further afield to the new discovered cruise spots in New Guinea and the Solomon Islands, you know that a South Pacific cruise is going to be a tonic for the soul. 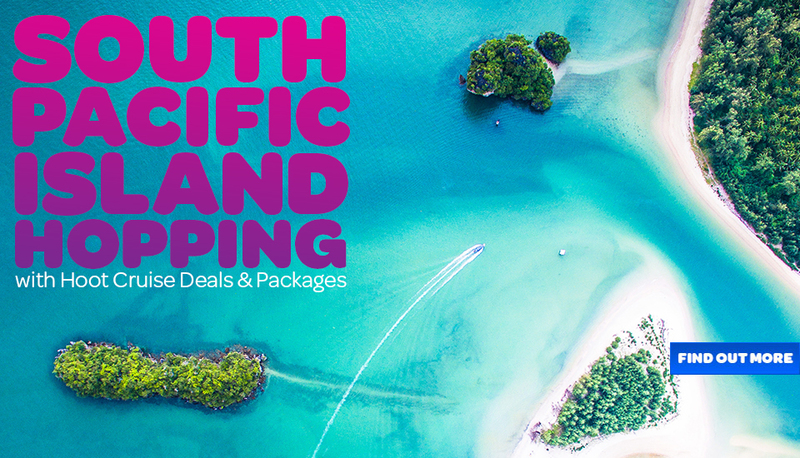 Cruises to the South Pacific operate year round, during the Summer months you will find a greater variety of cruise lines and a larger selection of cruise ships to choose from. Talk to our Hoot Cruises team to find ou which one is right for you.